More fun than a made up tagline! JugglinJennifer likes to keep everything up in the air. She juggles anything from balls and clubs to beer bottles and meat cleavers. She also does balloon animals and strolling magic. 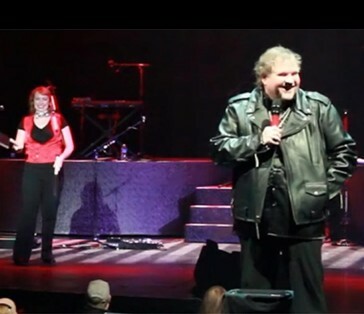 Jennifer combines this in a performance that can be tailored to your event, from silly and fun to dark and edgy. Jennifer brings versatility and all-American exuberance to every show. Jennifer does shows ranging from 5 to 35 minutes. 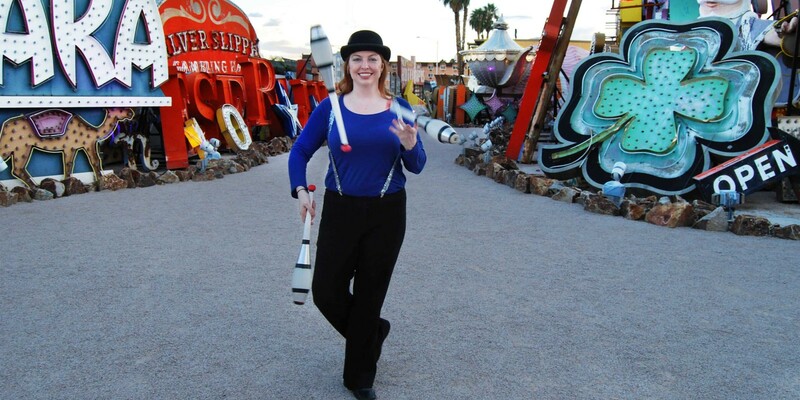 She combines juggling with music, magic, audience interaction, and laughs. Your guests will be entertained and engaged! Mingling was never so fun! Jennifer comes dressed in circus attire or in a costume customized to the theme of your event to interact with your guests. Jennifer loves performing as part of variety shows. She bring fun for the whole family with acts customized for the event. 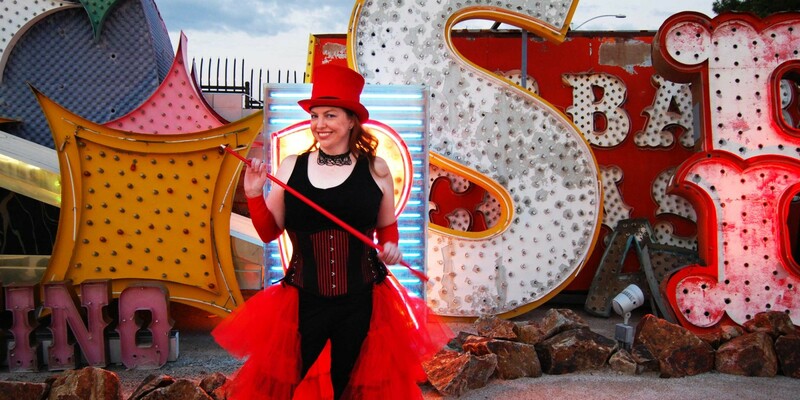 From vaudeville to circus, even burlesque! Jennifer brings many other skills including magic, balloon twisting, and fire performing to your event. Need more than 1 entertainer? Jennifer can bring more! Jennifer loves performing at parties and events. She brings various skills to entertain and impress your guests. Book her for your next event! 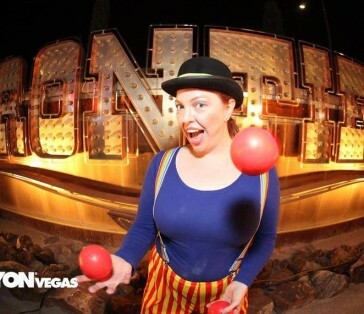 Jennifer helped entertain guests at the Neon Boneyard's Halloween party, the Boneyard Bash. 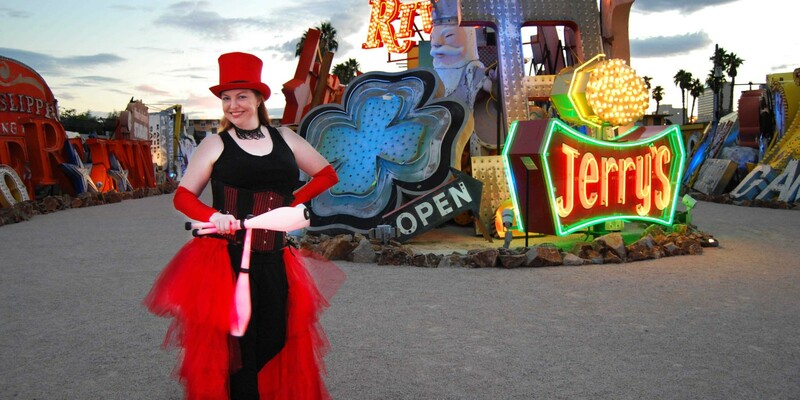 She got to juggle and interact with guests amongst the famed neon signs on display at this historic museum. 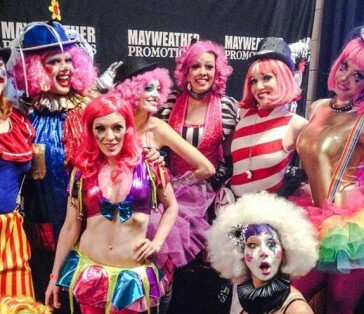 Jennifer was part of the circus that brought Floyd Mayweather into the ring during his sold out match against Marcos Maidana at MGM Grand Garden Arena in Las Vegas. 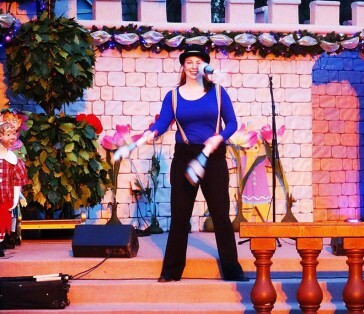 Jennifer juggled at Opportunity Village for their Wizard of OV (Spring), HallOVeen (Fall), and Magical Forest (Winter) festivals.